Ambush marketing sounds like a very simple idea but when we try to explain it, nothing comes to mind that can explain this clever marketing technique in just few words. A more common introduction to ambush marketing may sound something like; it’s a situation where a small or startup company seeks the attention of a huge number of customers in a big event and show off as one of the sponsors of that event without actually financing anything. Another reason that gives a good introduction to ambush marketing is that it can only work with big events or just for local communities in case of small local events. Being famous during soccer world cup of FIFA world cup sounds like something that every company wants but only a few could ever get the actual chances all together in the perfect timing to achieve desired results. You must have heard a saying that it’s so crazy that it might work. The same thing goes for ambush marketing. Whoever first thought of taking risk with ambush marketing was truly a genius because if you try to rationalize how it works, you will probably find it more risky than clever. This is the reason most companies don’t usually go with ambush marketing. Another reason that gives a good introduction to ambush marketing is that it can only work with big events or just for local communities in case of small local events. Being famous during soccer world cup of FIFA world cup sounds like something that every company wants but only a few could ever get the actual chances all together in the perfect timing to achieve desired results. The basic idea behind ambush marketing is to use the resources that some other company has invested in a big event and try to take some of the spotlights away from those competitors without breaking a sweat. If a marketing strategy works for one company and doesn’t for others, it doesn’t mean there is some problem with the strategy but maybe some people didn’t consider the downside as well as benefits. This being said, ambush marketing also has some drawbacks and it’s important to review every aspect of this technique before you rush to implement it for your benefits just because it sounds efficient and cost-effective. It’s a common fact that ambush marketing always results in more and more competition between rival companies and brands. 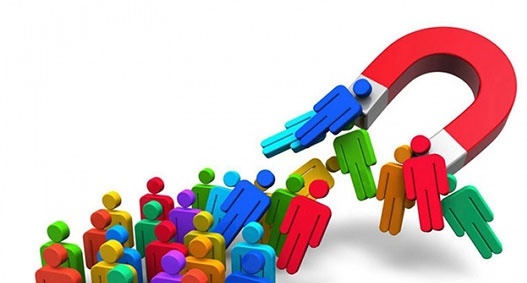 When a company uses this marketing technique, the competitors are automatically forced to use the same or some other kind of advertisement to stay in the competition and that ultimately results in lots of benefits for the customers – most commonly; lower prices and better services. Ambush marketing is a perfect marketing technique for small and startup businesses because these companies don’t have lots of resources for expensive campaigns and thus with ambush marketing, they can jump-start without putting too many resources in the marketing. For quick brand recognition and product awareness in the market, ambush marketing is a perfect tactic for most companies that don’t want to spend lots of money in advertisement. The worst thing about ambush marketing is that it diminishes the value of competitors who have invested thousands and millions of dollars in expensive marketing campaigns. Although there is nothing illegal about ambush marketing but how it damages the efforts of competitors, it seems it shouldn’t be allowed at all. When it comes to negative impact and bad reviews due to being not so honest, small companies can’t handle the pressure from the customers and market. This is not very common but if a company doesn’t have resources for expensive advertising, it’s sure they also don’t have enough money for getting back on horse after negative or bad reputation goes viral. A more obvious con of ambush marketing is the word ‘Ambush’ as it sounds like something cheap and deceitful which can seriously damage the goodwill of a company in the local community. Introduction to ambush marketing explains that it’s a marketing technique that piggybacks on the efforts of others which doesn’t sound like the right thing. There are always some of the benefits and advantages that actual sponsors of an event can enjoy for being loyal and rightful but the company that implements ambush marketing, might not get full benefits out of the campaign.